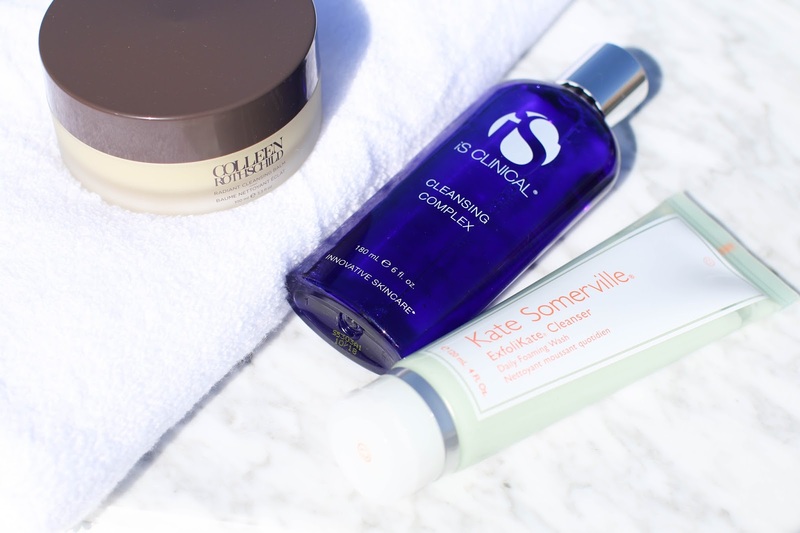 My favorite products to test - cleansers! I finally had the chance to try three cleansers that have been on my wish list for a long time. All are quite different - from foam, to gel and then a balm - there is something for everyone's preference in this post. 1. iS Clinical Cleansing Complex - It's rare that you find a cleanser which is both effective at fighting breakouts, yet still gentle enough for even the most sensitive skin types. I had heard wonderful things about this cleanser before ever trying it, so it had a lot to live up to. Thankfully it really impressed me and my skin has loved using it. It is a thin, watery gel texture that foams slightly but never enough to dry out my skin. It helps to retexturize, resurface and prevent breakouts with white willow bark, yet has numerous antioxidants that help to heal and soothe the skin at the same time. I love this as a second cleanse, and found that is has done wonders to help speed up the healing process from old acne scars. Up next, I am currently testing this other top seller by iS Clinical which many rave about for helping treat fine lines, redness, acne and hyperpigmentation. 2. 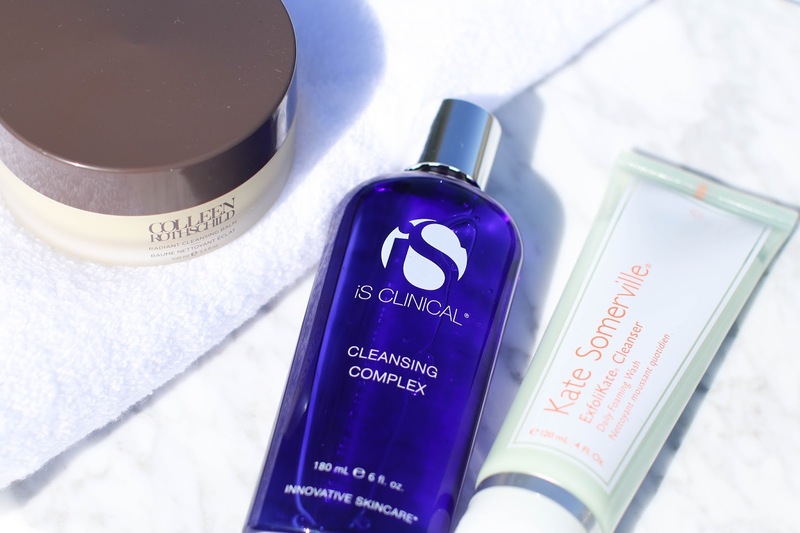 Kate Somerville ExfoliKate Cleanser - While the iS Clinical Cleansing Complex is great for daily use, I prefer to keep this ExfoliKate Cleanser for a more intensive treatment 1-2x/week. It does foam up more than most cleansers I have in my collection, but my skin seems to respond very well to this. Unlike the original ExfoliKate, this is not as granular as I imagined, but has a more creamy texture which helps to hydrate my skin while also exfoliating. My skin feels softer and any rough texture virtually disappears - and as I find with so many of her products, my skin looks radiant and fresh after using. It's very different from this cleanser that I have fallen in love with from Kate Somerville, but I find that each serves a great purpose in my skincare regimen. 3. 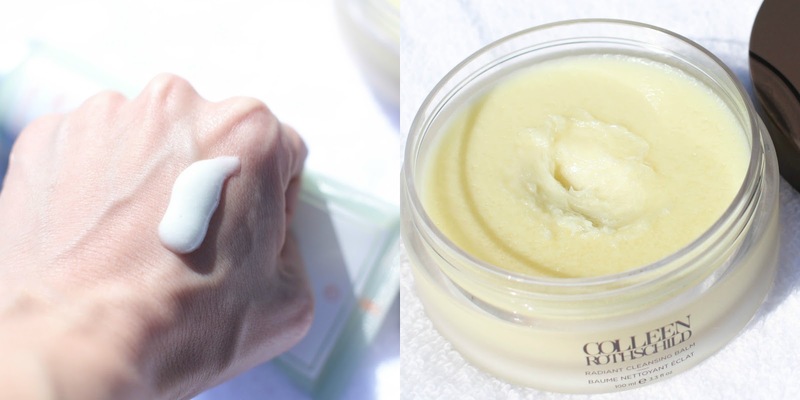 Colleen Rothschild Radiant Cleansing Balm - It's surprising that it took me so long to finally try this cleansing balm from Colleen Rothschild since I have seen it all over social media with rave reviews. Though I am a fan of super oily and rich balms, it's nice to change it up now and then. This balm as you can see from above is thick and buttery but not as greasy or oily as others I regularly use (this one is a holy grail). It breaks down my makeup easily and can even get off any stubborn mascara that I may be wearing (that is always the true test - mascara, amiright?!). I definitely need to use a washcloth or muslin cloth when removing, but it leaves my skin feeling soft, supple and incredibly hydrated. For additional Colleen Rothschild products to try, I have been loving this as a daily mist after cleansing and this oil-free moisturizer for the warm weather. AND...Colleen Rothschild is giving 20% off to all A Little Bit etc readers from 6/1-6/8. Use code: LITTLEBIT20 to receive 20% off the entire site. Happy shopping!